JG Tax Group has a wide variety of services and accreditations; unknown money back guarantee policy. JG Tax Group, co-founded by an ex-IRS agent, claims an 88 percent success rate in reducing their clients’ IRS tax debt. In fact, they say that not one of their over 40,000 clients has ever received a criminal charge. 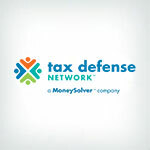 Their experienced team provides tax relief services in all 50 states. 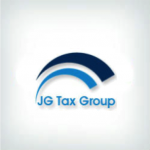 JG Tax Group offers help with many tax debt and negotiation problems, providing services for unfiled returns, wage and bank levies, audit defense, payroll taxes and more. Though the list of services is not as comprehensive as some of their competitors, it covers most client needs. The only major tax problem we found no information on was asset seizure. No information about money back guarantees is listed on the JG Tax Group website. Presumably, if they had any sort of refund guarantee, it would be a selling point. The lack is not a good sign, particularly when many of their competitors offer refund windows of days or weeks. We were unable to find information on a money back guarantee from JG Tax Group. Despite the one strange complaint, lack of certain services and no refund guarantee, JG Tax Group receives a recommendation from us. Their affiliation with both the ASTPS and NAEA gives a higher level of accountability, and they provide a good number of service types in all 50 states. Price varies depending on multiple factors including: the client’s’ situation, the amount of debt owed, and length of the debt, to list a few variables. During our contact with company representatives, our researchers were informed that in order to be fair on pricing, they must know the dynamics surrounding each case. For specific pricing information for individual situations you can call for a free consultation. Our research determined there is no minimum amount required to enroll in their programs; however, it’s important to keep in mind companies who do not disclose fees, even under a ballpark range, may not be worth the money put forward if tax debts are smaller. Co-founded by an ex-IRS agent, JG Tax Group has helped over 40,000 clients. 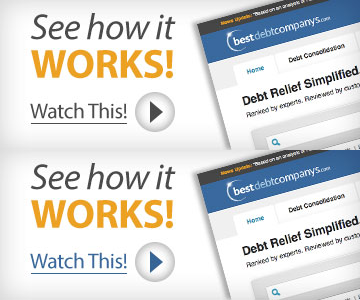 Nearly 88 percent of its clients have had their IRS debt reduced in various ways. The company’s founders trained many of the IRS agents pursuing taxpayers today, and can therefore know how to deal with and help alleviate tax problems. JG Tax Group is licensed to operate in all 50 states. They are members of The American Bar Association (ABA), and National Association of Tax Resolution Companies (NATRC). Jeffrey Galante, one of JG Tax Group’s co-founders, is the Vice President on the NATRC Board of Directors and is Chairman of the Code of Conduct Committee. Yes. Anyone can call in for a free consultation to discuss their tax situation. Be aware that in order to get the most accurate information, you will need to give them some personal information about your situation. The company offers a full refund to clients within five business days of their payment receipt. To get a refund, you must request it in written format and fax or mail it to their office. Up-front fees may be included in the total price, but they also vary depending on the situation. The representative that worked with us was very condescending. They are not very good at keeping you abreast of where your case is and they gave no timeline as to a resolution with the IRS. Not happy at all with the services received. Don’t waste your time with these Scam artist. They called me, I didn’t call them. When you first get the call them you be talking to a fast-talking salesman. His only job is to promise you the world and to get your money. Days of conversations may pass before they seal the deal on you. I should have listened to the bad reviews I read. Once they get your $4,000 you will never hear from your new salesman friend again. As a matter of fact, you won’t hear from anyone else as they don’t call their clients. They prefer to work through only E-mail (shady right there) Their goal will be to kick the can as far down the road as possible. They will ask for a little information, then vanish for weeks or months, then come back with needing a little more information, once they get it they vanish again. After a year of this can kicking has gone on they will send you an E-mail that a year has lapsed and to continue with your case they will need an additional $1,000 or they will throw your case out not only wasting your money but your time that you could have been working with a truly reputable law firm. This won’t be the last you hear from me, you don’t take 4 grand from a man and expect things to be okay. Don’t make my mistake, avoid these people. — I did all the preparation of tax information, they plugged it in electronically and provided me with returns to file. Had I gone to HR Block I would have saved myself 5K. — No settlement, adjustment, etc. was made. — Even though the IRS considered the tax “Currently Non Taxable,” penalties and interest continue to accrue. — They said they filed an abatement, which turns out to be a single page electronic form. The wording they used for the reason for the abatement was “We are requesting a first time abatement. FTA” Nothing about my being seriously ill and disabled. — It would cost additional funds for them to fill out (electronic form) the Offer in Compromise that actually allows you to pay less then the actual tax amount. — The gentleman I worked with was unhelpful and condescending. For these reasons, I would not recommend going with JG Tax and would spend the necessary funds to go through an HR Block or other like tax preparation company before hiring someone to submit the abatement or Offer in Compromise. Else you are throwing away money needed to actually pay off the IRS.